The Institute of the Ursulines in the small village of Onze-Lieve-Vrouw-Waver (OLVW), Belgium is a prestigious school founded in 1841 by the Ursuline Sisters. The architecture of the Institute and monastery complex is unique in its combination of diverse styles like neoclassicism, neo-Gothic, Neo-Romanesque, Empire and Art Nouveau style. 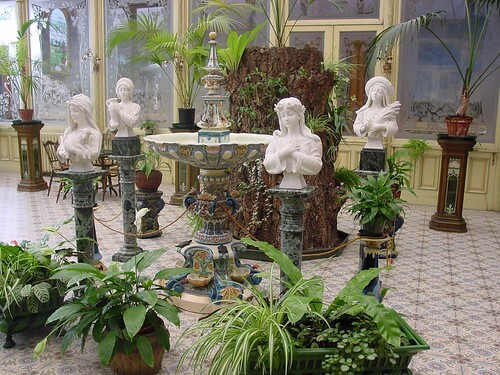 The Institute boasts of a magnificent Winter Garden "Wintertuin" set in art nouveau. 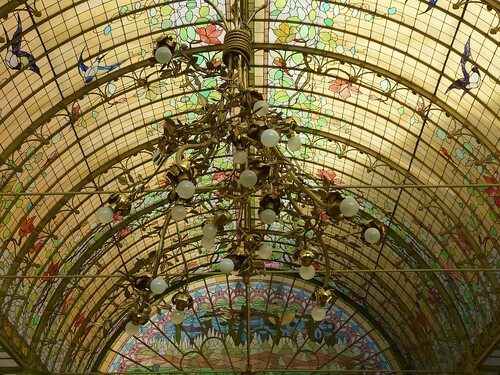 However not many people are aware of this masterpiece which was built in 1900 and serves as the reception area for the visitors who come to visit the students of the Institute. 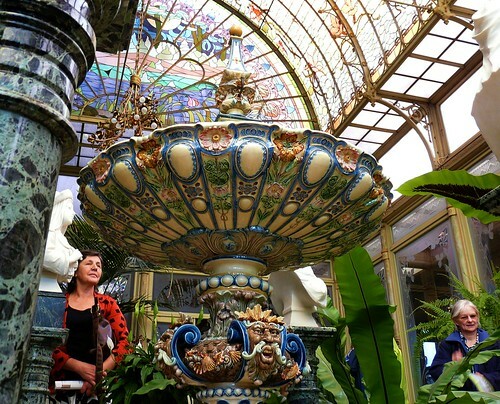 One of the reasons for lack of awareness about this magnificent conservatory is due to the fact that casual visitors and tourists/sightseers are not allowed. Rarely a group of tourists are allowed and that too with prior appointment. 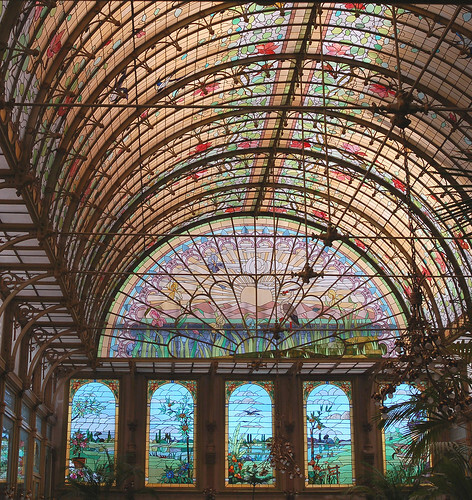 Edit Note: March 07, 2019 - It is now possible to visit The Winter Garden. More details in visit.mechelen.be. 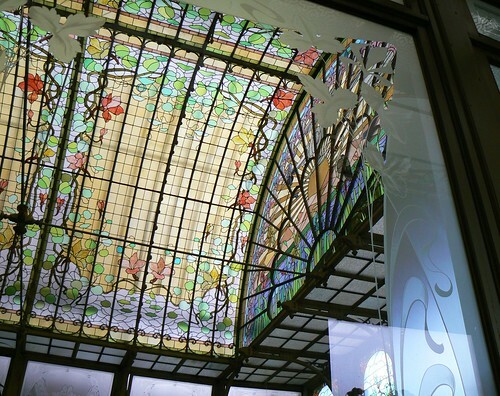 Long and magnificent stained glass curved roof of the conservatory alongwith interior decoration is a classical example the dazzling beauty of Art Nouveau architecture with influence from Japanese art. 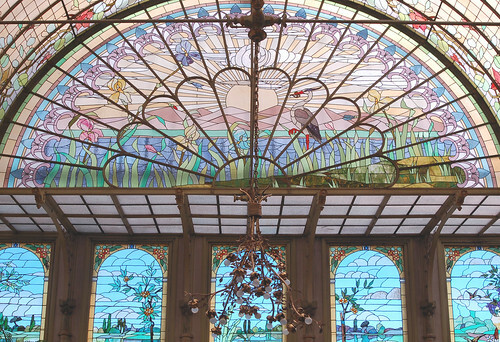 It is rare and perhaps unique to see Art Nouveau style in a Catholic educational institution of that era. 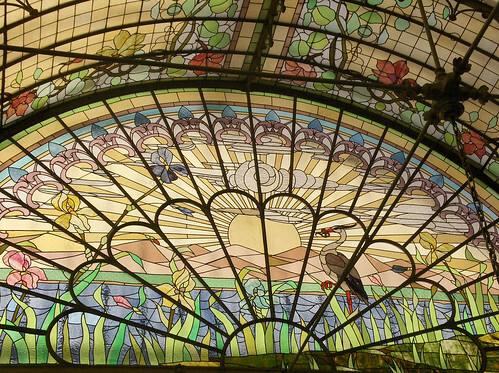 The pattern and design of the entire stained glass has been created with meticulous details, creating a fine display of light and colour. 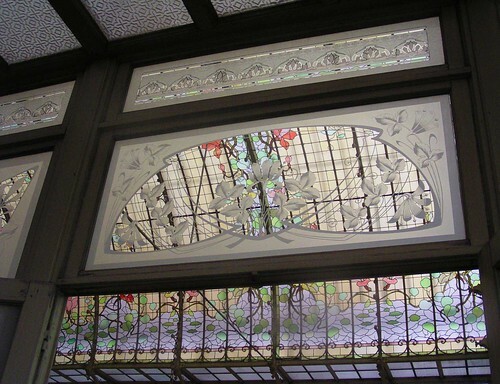 Various panels have floral design at the border and the entire stained glass roof and windows are thematically divided. 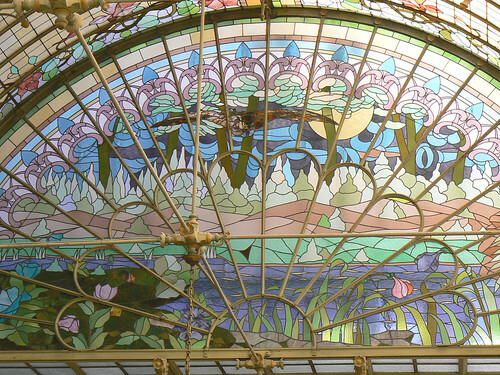 The glass wall facing the morning sun (street side) shows the sun rising over a lake with iris flowers in bloom and a heron with a catch of fish, while the wall on the opposing side is darker and represents the night with moon reflecting on mountainous lake, closing buds of water lilies and irises and a flying owl. 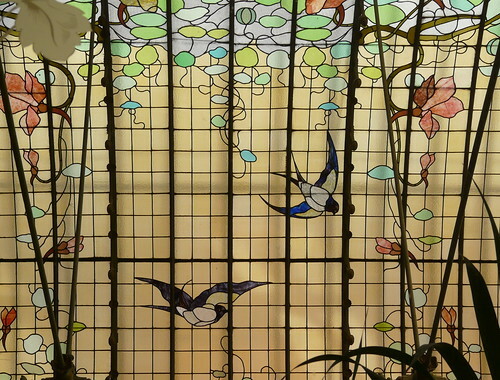 The central area has blooming flowers with swallows on its panels heralding the arrival of spring. The furniture, floors, walls and verandah are all in harmony with the surroundings. The fixtures and furnishings, though more than 100 years old, have retained original colour and are reportedly in superb condition. 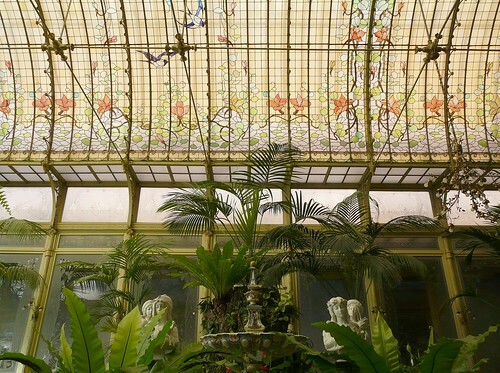 Unfortunately the identity of the architect of this magnificent Winter Garden is not known. 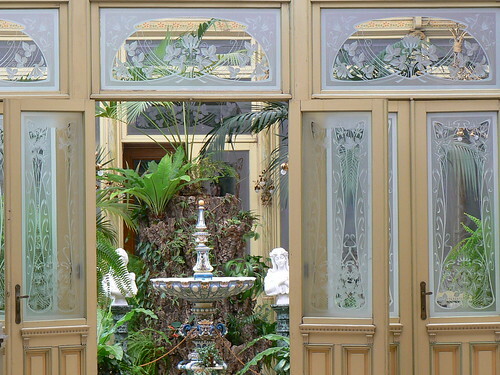 Can you tell me exactly where in Belgium this is? My grandmother was at a convent run by the Ursuline nuns at the beginning of the 20th century and I wondered if it is the same place. The postal district of her convent was Lierre, Antwerp. Many thanks. 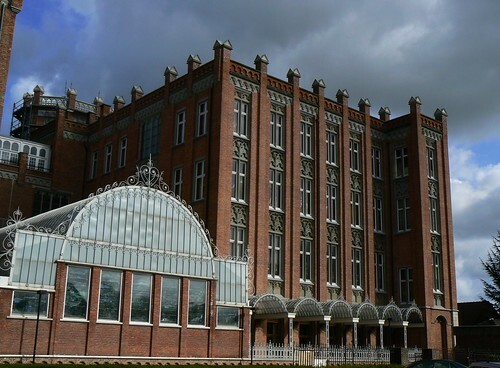 Hi JM, it's now possible to visit the institute, details are here: https://visit.mechelen.be/en/wintertuin. 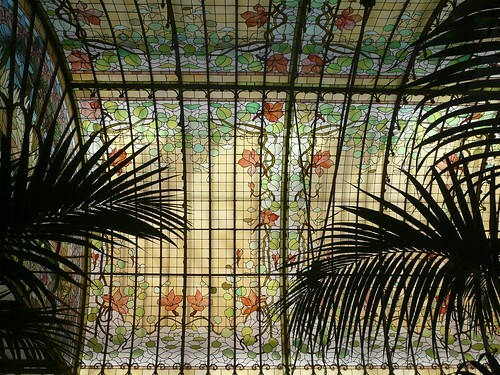 Having been I can confirm that the winter garden is stunning. You can also visit other parts of the institute. Thank you Hazel for the information. I have added it in the blog.